Emeka began swimming competitively for Fairmont Heights High School in Capitol Heights, MD breaking 6 records in the 100 Breaststroke, 100 Butterfly, and 50 & 100 Freestyle. During Summer season, he swam with the Theresa Banks Tiger Sharks, the summer league division of NCAP-PG. 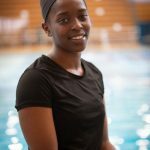 While attending Howard University, Coach Emeka competed in the 50, 100, and 200 Freestyle events and 100 & 200 Butterfly events. 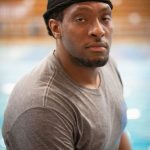 Aside from competitive swim, Emeka is also a certified Pool Operator, Lifeguard, and Swim Instructor.